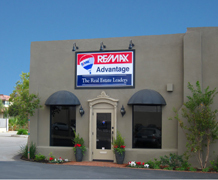 Founded in 1995, RE/MAX Advantage is the preeminent full-service real estate company in Redlands, CA. RE/MAX Advantage has a team of over 60 real estate professionals who live and breathe real estate and love to assist their clients. RE/MAX Advantage primary goal as a brokerage firm is to make sure that our agents have the most advanced web-based technology available to them allowing their clients to enjoy an edge in today’s real estate marketplace.